Can the modal for this feature be updated so that I can see which specific vote I cast? 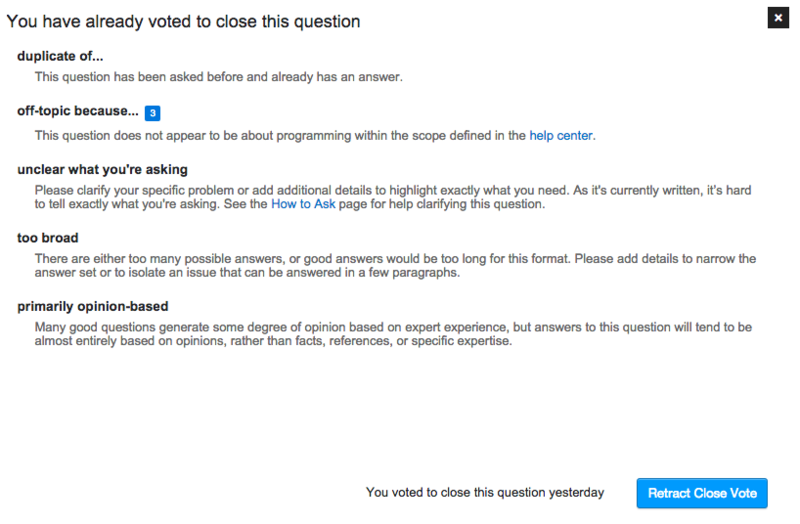 Browse other questions tagged feature-request vote-to-close . What did other people vote to close with? What close vote did I cast? 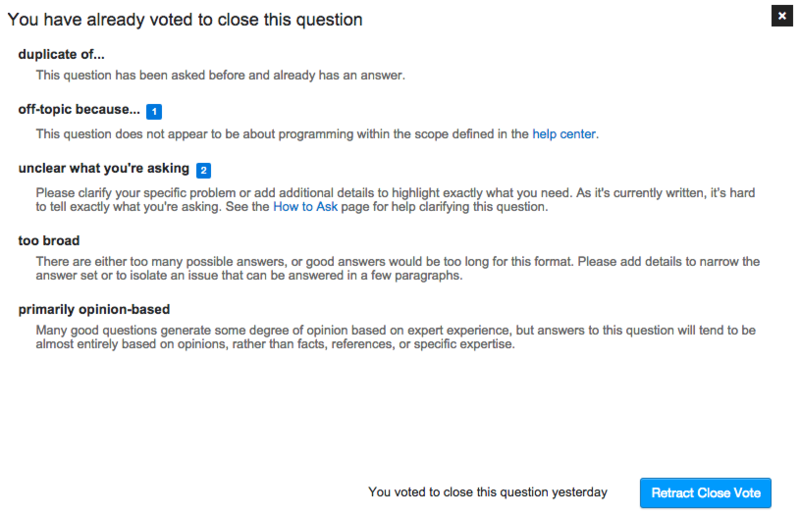 Why is my vote to close a question no longer shows under “close” and cannot revote?